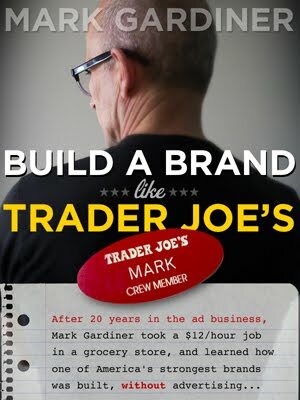 When I wrote ‘Build a Brand Like Trader Joe’s’ back in 2012, I could not have imagined Donald Trump as the President of the United States. Since Trader Joe’s customers skew liberal, I will probably not make any new fans by pointing out that one of the secrets of Trump’s success could have been pulled straight from my book. Donald Trump has certainly internalized one of the secrets to Trader Joe’s success—and it’s one that, while obvious, is not followed by many other politicians, or brands. So what is this thing, that Donald Trump and Trader Joe’s have in common? It’s simply this: Neither Donald Trump nor Trader Joe’s care how many people don’t like them, as long as enough people do like them. 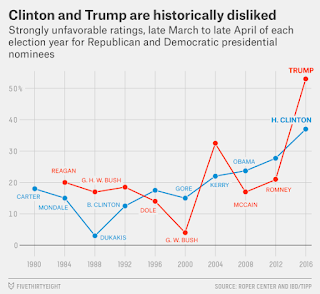 Both Clinton and Trump were historically disliked. 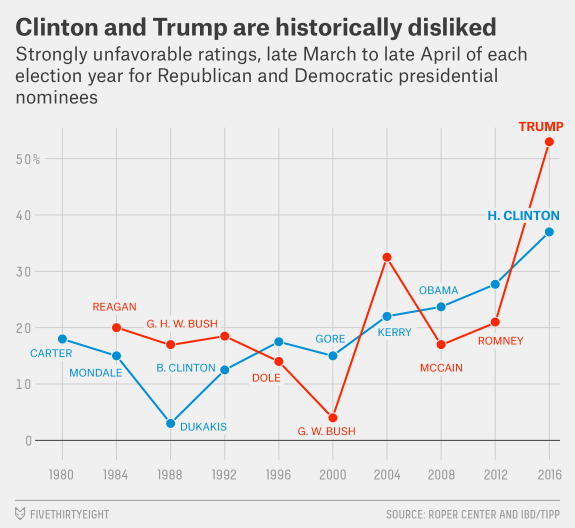 The difference: Some people really liked Trump. True story: If you Google the phrase “What I love about Trader Joe’s”, you’ll see all the same things you see if you Google “What I hate about Trader Joe’s”. Those famously chatty cashiers? Some people love ’em and others hate ’em. You know the way TJ’s arbitrarily drops one item and replaces it with something completely different without notice? That drives some people crazy, but for everyone who hates it, there’s someone else who thinks that the unpredictable product mix makes every trip to TJ’s a little adventure. That willingness to piss off a potential customer is incredibly rare. Most companies will do almost anything to avoid conflict. In the decades I spent in the ad business, I had clients who spent hundreds of thousands of dollars producing TV ads. We launched ad campaigns and clients often saw an immediate uptick in sales and profits—but only a handful of viewer complaints were all that were needed to kill a costly campaign. The problem with that cautious approach is, if you’re preoccupied with making sure that no one hates you, you’ll almost certainly also ensure that no one loves you, either. Almost every brand would do better to focus on making some people love them. But Trader Joe’s is one of the only businesses I’ve ever studied or worked with that really takes that truth to heart. Donald Trump’s the only Presidential candidate who I’ve ever seen who almost went out of his way to antagonize voters who he knew would never vote for him anyway. I’m fairly certain he has not read my book (or anyone else’s, really.) But he instinctively knew that by winding up liberals, he could made right-wing voters love him. You know that I’m right about this: The things that liberals hate about Donald Trump are the very same things that his supporters love about him. By contrast, Hillary Clinton’s campaign tried desperately to appeal to old-school Republican voters who were put off by Trump’s persona. Fewer people did hate her, but not enough people loved her. As the election came down to the final days, I watched Trump with a mixture of horror and fascination. I realized that he was simply never going to pivot to the center—in defiance of accepted wisdom amongst GOP strategists. In the end, his approach worked just well enough to win the Electoral College vote. Now, of course, it really doesn’t matter that many people find shopping at Trader Joe’s to be infuriating; they can shop at many other grocery stores. Trump… that’s a different story. If you find him infuriating, he’s still your President.